Imogen's Typewriter. 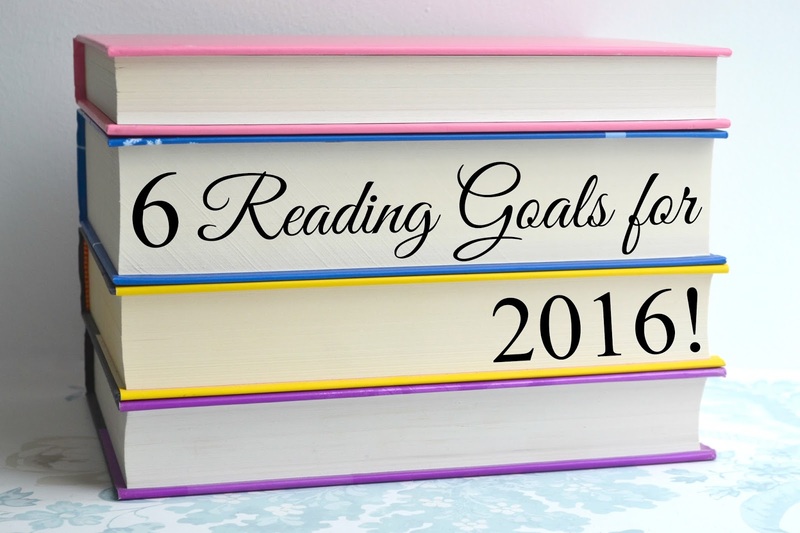 : 6 Reading Goals for 2016! 6 Reading Goals for 2016! 1. Read a couple Non-Fiction books! Over the past two years I have read a grand total of three non-fiction books and that's pretty shameful so I'd like to finish a couple of the non-fiction books I have piled around this year because I do really enjoy learning. They take a little longer to read which I think puts me off a little. 2. Read a book over 600 Pages! In 2015, one of my reading goals was to read a book that clocked in at over 500 pages. I completed that and I always love taking a challenge a little further. So- 600 pages! 3. Read a couple classics! This was a goal for 2015, except I only planned to read one and the results were a little eh. This year I have a couple ideas of which I want to read; Catch-22, 1984 and Brave New World. We shall see what I actually end up reading! 4. Get rid of some books! Although technically not a reading goal, I would really like to get rid of some of the books that I know I'm either never going to read or not read again. My huge TBR makes me feel bad! 5. Complete some of the unfinished series on my shelf! Currently there are ten series on my shelf that I haven't but want to finish. I'd like to halve that this year, hopefully, or at least keep it to ten or under. I'm never one to set outrageous Goodreads challenges because if I feel time-pressured into doing something, I tend not to do it as well as I'd like. So sixteen. I've read one in eleven days so I'm feeling confident about this. One challenge I'm not giving myself this year is restraining my book buying like last year, there are a lot of books I want to buy as seen in my Books I Want to Buy and Why series and if I get rid of a lot of books as per challenge 4, I think I can treat myself every now and again. What are your reading goals for 2016? 5 Things I've Learnt from Book Blogging! How I Got Back into Reading! 30 Before 30: Two Years On! 5 Things I Love about Writing! 5 Reading Goals for 2015: One Year Later! Books I Read in December!